Most every budding chef’s or home cook’s first attempts with meat cooking usually involves some sort of minced or ground beef dish. Whether it’s a first attempt at “spag bog”, chili con carne or meat loaf minced beef is, after chicken, the preferred protein for beginners but strangely enough still seems to get a bad rap as being the second citizen of the meat family when actually it doesn’t have to be. A good mince can be a combination of veal and pork, not just beef and doesn’t have to be a grey or dull lump of ground up off cuts. 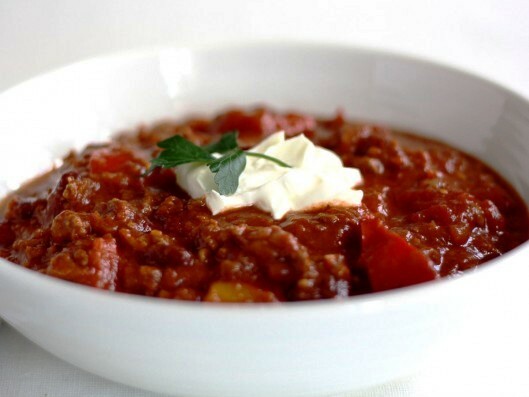 The truth is that minced or ground meats can be the beginning of a wondrous array of fantastic and tasty dishes that won’t cost you your whole grocery budget and when carefully seasoned and left to brown properly, mince can make outstandingly good eating. You just need a little patience, some thoughtful additions and the very best quality meat. Minced beef shouldn’t be a pseudonym for cheap or bad meat. The flavor of a good mince depends on the quality and it is always a good idea to avoid the pre-minced “mystery meat” that is usually in the butcher’s section of the supermarket. Instead ask the butcher to grind up a selection of meats and don’t forget the taste of beef is in the fat not the flesh. I usually ask for 80% chuck or top side and 20% brisket for that nice beefy taste. Careful seasoning and a good heat in the pan for the browning of the meat is the secret to good mince cookery. I make certain that when the mince goes in the pan that I leave it to sizzle for several minutes without stirring to give it a chance to brown. Getting the meat to that beautiful “Umami” taste at this point will make all the difference to the finished mince dish. Oh yeah…if you want the best minced meat do it yourself. Experiment with different cuts and meats from the butcher, invest in the most cost effective kitchen tool you will own, the trusty old fashioned hand grinder and mince away. The difference will be obvious immediately. This of course leads us to every carnivore’s absolutely favorite minced meat miracle…the Hamburger. We’ll get passed the minced up historical facts of whether it was a version of steak tartar brought by German sailors from Hamburg or not. This is only about the ‘burger, the same burger that we all have fond and sometimes questionable teenage memories of. The search for the perfect burger is a search for the memory of days gone by. So why are we so obsessed with burgers: are they cheap? Well in some places where genuine burgers are sold they almost always cost half of what a regular restaurant entrée would cost and always comes with a generous pile of fries. So yeah it’s an economical, filling option. But take a look at some of the creations available in most gourmet restaurants these days. Today our favorite beef patty is gracing the menus of most uber-chefs and restaurateurs who are selling burgers of one kind or another sometimes made from Wagyu beef with the addition of foie gras and truffles!!! This is not a ‘burger my friend it’s an ego trip, an expensive ego trip. But I think our fixation with the hamburger is less to do with the price and more to do with the intimacy, you can touch and feel and just grab a burger and chow down with no inhabitations. It’s OK if you are dripping from ketchup and mustard. We don’t want to be challenged or be intimidated by our food. It’s just a burger; everyone knows that. And there is nothing’s more familiar than the taste of a burger, the char after it hits the hot flame; that specific smell. It’s comfort food supreme. All things considered, burgers are popular because burgers are good. They just do the job. Dry brine the meats by rubbing with coarse salt evenly on both sides. Put the meat in a re-sealable plastic bag and chill in the refrigerator overnight. Remove the meat from the plastic bag, brush off any salt and pat them dry. Cut the meat into cubes and grind them using a medium grind. Chill the burgers on a wax paper–lined plate, covered, until ready to grill. 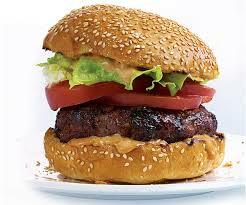 Lightly brush some oil on one side of each burger and season with freshly ground black pepper. Grill the burgers, oiled and seasoned side down, until nicely browned on the bottom, about 4 minutes. Season the other side of the burgers with pepper, then turn them carefully and continue to grill. If making cheese burgers now top the burger with a slice of your favorite cheese and cover with a pan. Serve the burgers, topped with your favorite condiments, on the toasted buns. Got the taste for a more ground meat meals? So here are a few of my all time favorite recipes. 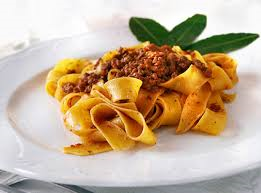 Everybody has their own variation (or corruption) of this universal minced beef dish but here is the authentic and original recipe for Ragu Bolognese the legendary ragu and pasta dish named after Bologna, one of Italy’s most prestigious cities. It is so good that I left quantities for more than one person so that you will always have more to re-heat the next day. Add the liver and turn frequently as it browns. Use a wooden paddle to break it into tiny pieces. Add the tomato puree, bay leaves and season to taste. Add the chicken stock, cover and simmer. You cannot rush a ragu. It should simmer for at least an hour or up to 2 hours on the lowest heat you can achieve. It just needs to “gloop” along like molten lava during cooking. If the sauce seems to be getting dry add a little more wine. Ragu is better after a day in the fridge so the flavors blend together. 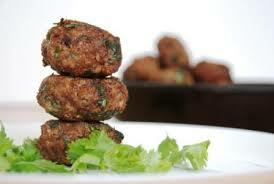 Ground meat has been shaped into patties and eaten all over the world under many different names for ever. Mix and knead together all of the ingredients. Form into 20 balls (about 2 tablespoons of mixture each). Slightly flatten the balls and fry for about 5 minutes on each side in a lightly-oiled skillet. Put the dried ancho chilies in a medium bowl and pour boiling water to just cover them. Let them soak until they softened. Heated up the oil in thick bottomed pot, add the bacon to sauté until browned. Added the onions and reduced the heat to medium. Cover and cook until translucent. Add the beef mince to the pot. Stir with the onion and bacon mixture and let it cook until brown. Pour and mix the pepper puree into the beef in pot. Meanwhile, roast the poblano pepper over an open flame. Wrap in a towel for 15 minutes to steam, and then peel. Cut up the Serrano pepper. Put the poblano, Serrano, and bell peppers into the food processor and process them until finely chopped, but not pureed, then added to the pot. Next add the can of tomatoes and beer to the beef and bring to a simmer. Cover the pot, lower the heat and continue to cook for 30 minutes. Add the chocolate and stir all together. Continue cooking uncovered. Serve this with sides of chopped cilantro, sour cream, chopped red onions, chopped avocado, shredded Monterey Jack cheese and tortillas. 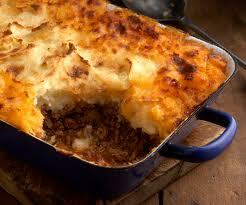 Shepherd’s pie or cottage pie…what’s the difference? Well without going into a long story they are both minced meat casseroles topped with mashed potato topping and baked until the potato is browned. 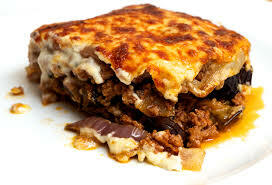 And just to get away from the beef try this take on a traditional Greek recipe, combining spiced lamb mince with eggplant and a creamy white sauce. Heat two teaspoons of the oil in a pan. Add the onions and garlic and fry until just beginning to brown. Add the minced lamb and fry over a high heat for 3-4 minutes. Slice the stalks off the eggplants and cut them lengthways into 5mm slices. Heat a frying pan, add one tablespoon of the oil and a layer of eggplants slices and fry quickly until tender and lightly colored on each side. Melt the butter in a non-stick pan, add the flour and cook over a medium heat for one minute to cook out the flour. Gradually beat in the milk, bring to the boil, stirring, and leave to simmer very gently for 10 minutes, giving it a stir every now and then. Stir in the cheese and some salt and pepper to taste. Cool slightly and then beat in the eggs. Layer the base of a shallow ovenproof dish with a third the eggplant slices, season lightly with salt and pepper. Remove the cinnamon stick from the lamb mixture, season to taste and spoon it over the eggplant slices. Repeat with the rest of the eggplant slices seasoning each layer finishing with a layer of eggplant slices.